Analyst Ming-Chi Kuo of KGI Securities has slashed his forecast for iPhone X shipments this fall to between 30 million and 35 million units, though he also told investors that any negative reaction to production issues could make for an attractive opportunity to buy more shares of AAPL. While Kuo revised his iPhone X shipments lower, he isn't concerned about the device's long-term prospects. He believes competing manufacturers who build Android devices will take up to two and a half years to catch up with Apple's Face ID technology. In the interim, Apple will solve its TrueDepth Camera production issues in short order, allowing the company to not only increase iPhone X manufacturing, but also to bring the technology to other models in the coming years. "As issues with the production of TrueDepth Camera can potentially be overcome in a few months, we have full confidence in iPhone's growth prospects in the high-end smartphone market in 2018-19," Kuo wrote. In the short-term, however, consumers may be waiting to get their hands on the iPhone X. Though the iPhone X is set to launch on Nov. 3, numerous supply chain reports have indicated that the handset's TrueDepth Camera is a bottleneck for Apple's production. 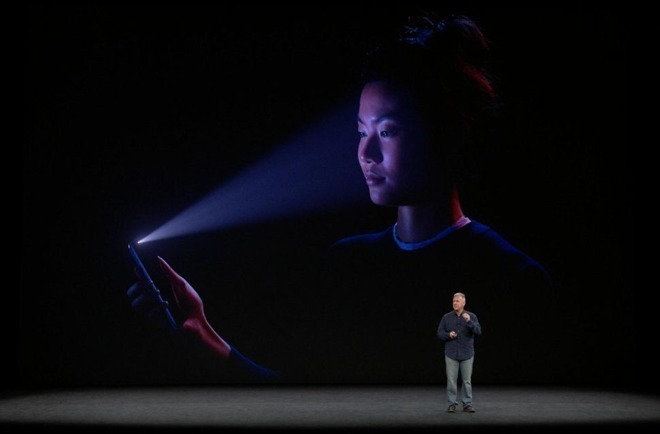 Apple's Face ID technology introduced in the iPhone X is made up of four components including an infrared camera, a flood illuminator, a dot projector, and the front camera. The combination of sensors generates a 3D map of the face that it compares to the mathematical models of the stored face, utilizing the new A11 Bionic neural engine. Apple says Face ID will be more secure and reliable than Touch ID, the fingerprint-based technology it is superseding.